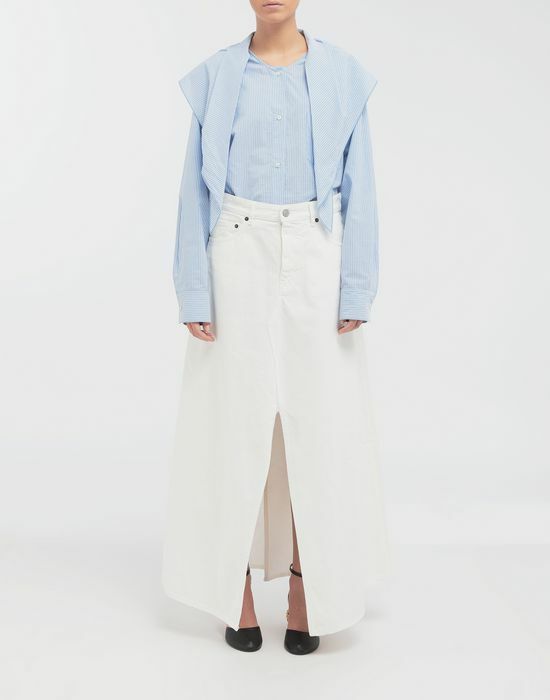 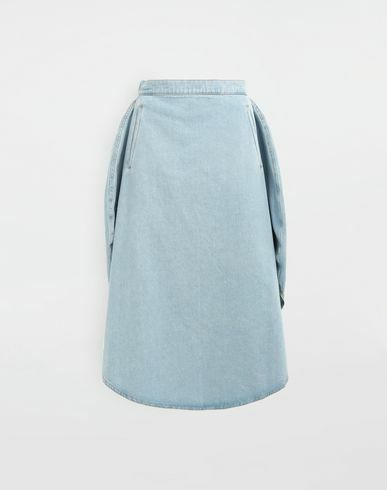 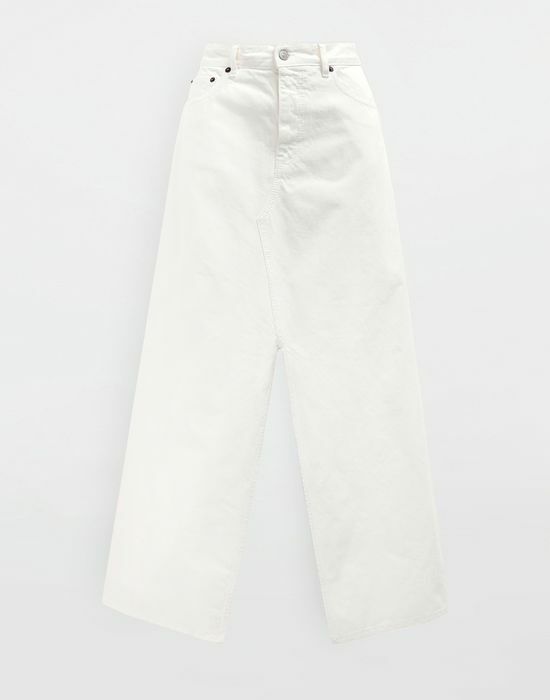 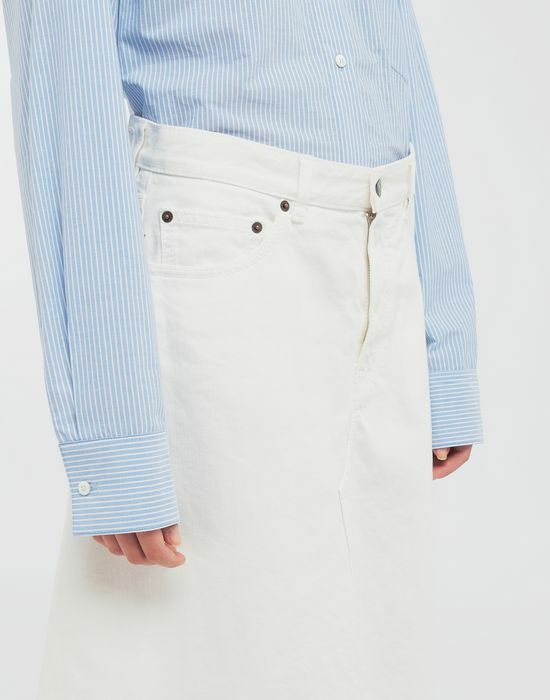 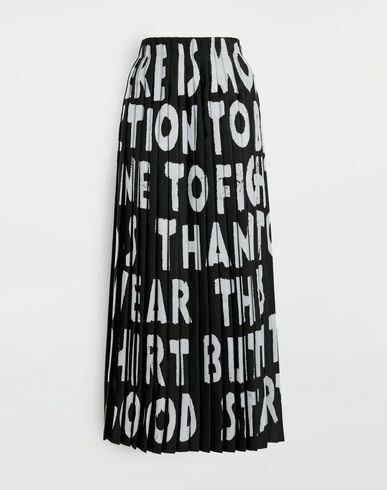 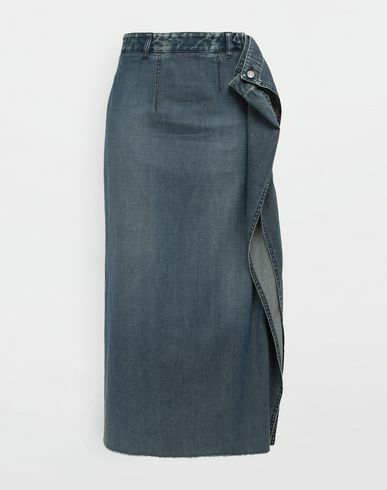 Made from pure cotton, this long denim skirt features opened hems for a flared impact. 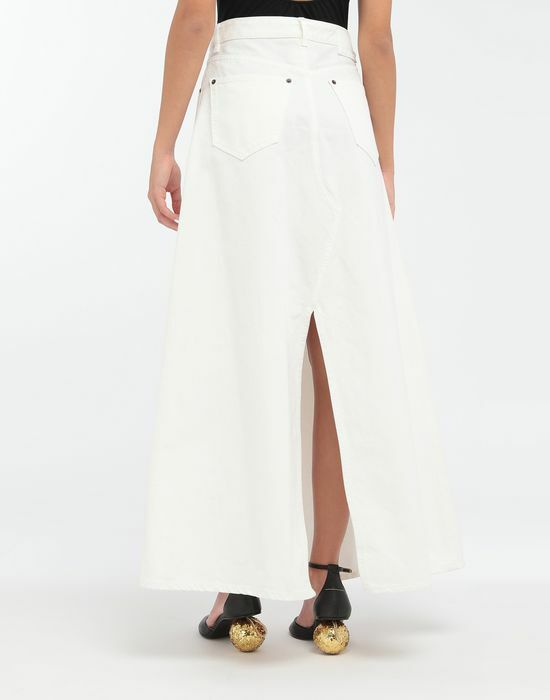 It is finished with a front button and hidden zip fastening, belt loops and a five pocket detailling. 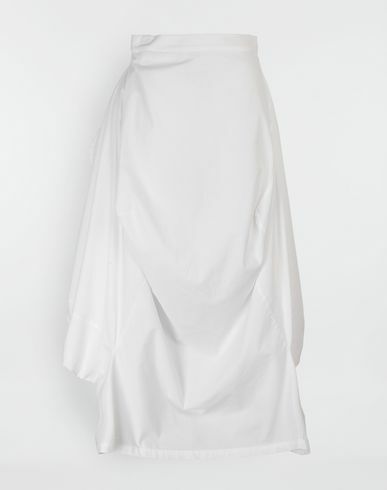 A tonal blank patch is finished on the back.